Specifically, Greece holds the 2nd place in the world, with 519 award winning coasts. It is worth noting that this year, in all 47 countries participating in the Program, Greece held 12% of the total awards. 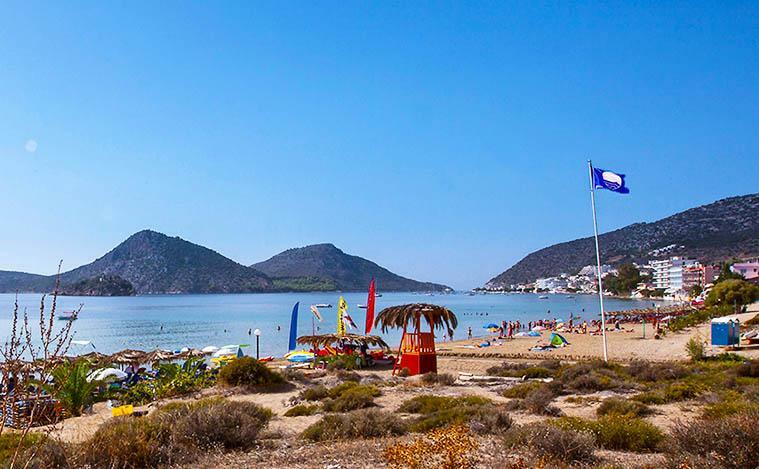 In the region of Argolis 3 beaches were awarded, two in the Municipality of Nafplio (Karathona beach and Psili Ammos in Tolo), and one in the Municipality of Ermionida, at Porto Heli. The Program "Blue Flag" is, internationally, the eco-symbol of quality of the coast and as an institution began in 1987.The Psili Ammos beach in Tolo is awarded for eleven (11) consecutive years with the Blue Flag, which proves that the beach of Tolo has the 33 quality criteria related to the cleanliness, organization, information, safety of bathers and visitors, protection of the natural wealth of the coast and the coastal area, and environmental awareness. The "Blue Flags" are a key criterion for selection of tourist destinations from the major travel agencies abroad, which means that Greece, this year, will attract a large tourist interest.